The history of the World Health Organization-International League of Associations for Rheumatology Community Oriented Program for Control of Rheumatic Disease (COPCORD) for developing countries is described. Due to lack of funding and manpower, the COPCORD concept is designed in three stages for execution. Stage I is a community-based epidemiology of rheumatism in three phases by rheumatologist but non-epidemiologist to save time, money, and costs. Stage II is education of treatment of rheumatism. Stage III is the identification of environmental and genetic risk factors of musculoskeletal disorders to prevent or minimize rheumatism. Since 1980, COPCORD has collected valid community-based epidemiological data, which are published in 42 papers since 1985 in various international rheumatology journals. The publications were from 19 developing countries in the Asia Pacific region, South America, Europe, and Africa. Stage II education is deemed to be more appropriate handled by allied rheumatology health professionals. Low back pain, osteoarthritis, osteoporosis, and rheumatoid arthritis (RA) are the priority. 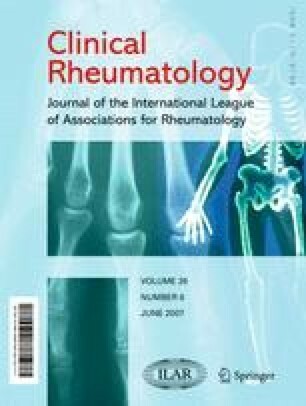 The projected prevalence of RA in >4 billion people in countries of the South are between 8 and 12 million patients and urgently require adequate control. After 5–15 years, the consequences of RA are disability, reduced productivity, loss of career and income, lowered quality of life, and early mortality notwithstanding existing therapy. The application of the Biologic DMARDs in RA in the Third World for reasons of treatment costs from $15,000 to $25,000 per patient per year is not feasible. The majority of the Third World population has an income of less than US$1.00 per day to less than US$2,000.00 per capita. The COPCORD has designed and applied successfully the step-down bridge guidelines of intravenous and oral combination of five generic immunosuppressants in prospective observational studies of rheumatoid factor positive RA in Indonesia, China, and Iran. Recommendations of the COPCORD stages are submitted.